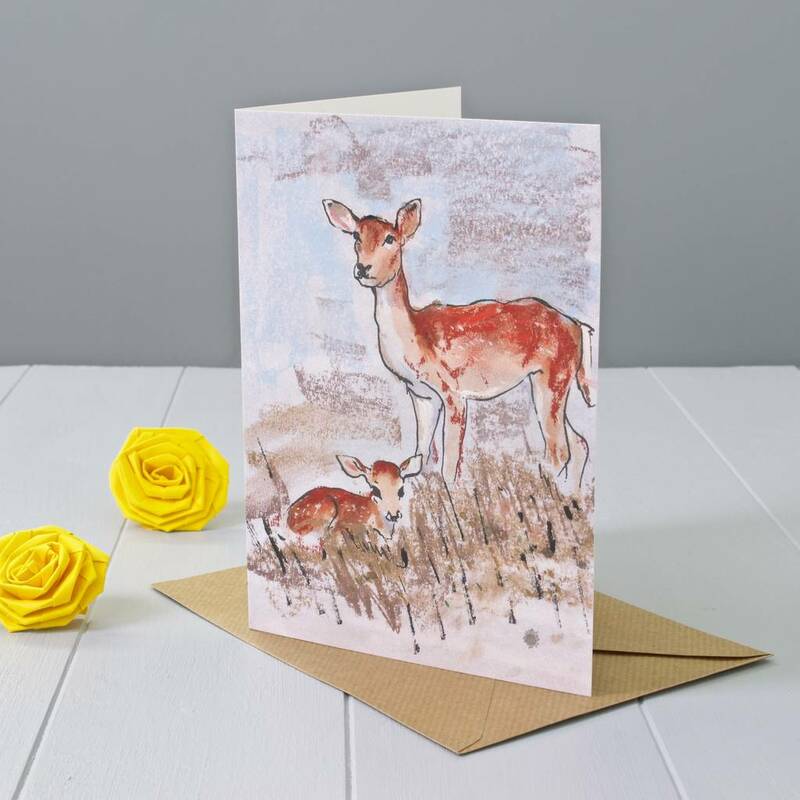 A sweet deer and fawn greeting card would be great to celebrate life's many occasions. 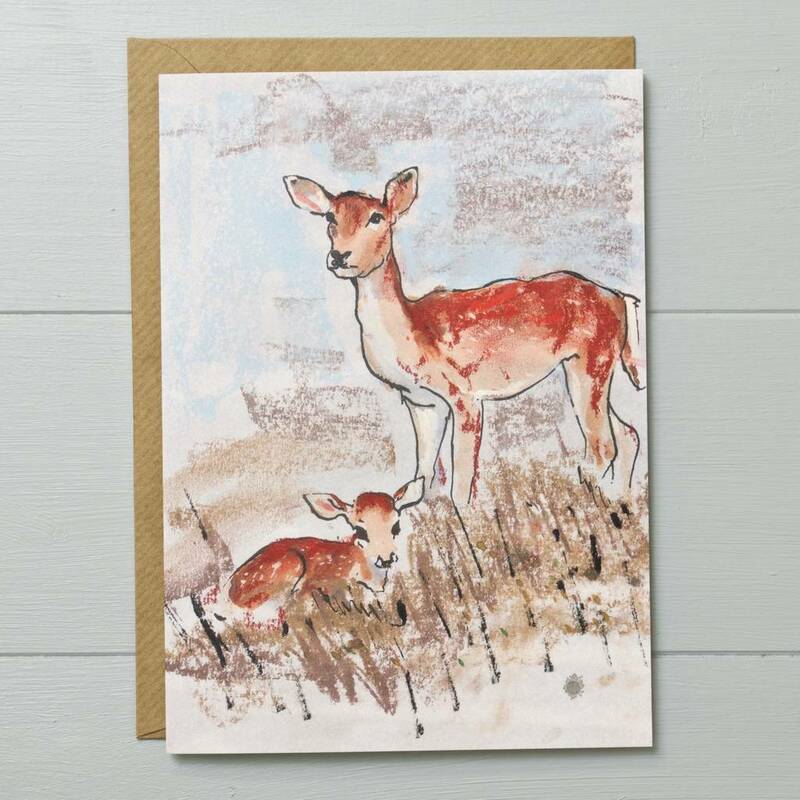 The card would be perfect for any animal lover young or old. You could use the card for many life's occasions like birthday, anniversary, good luck or thank you. 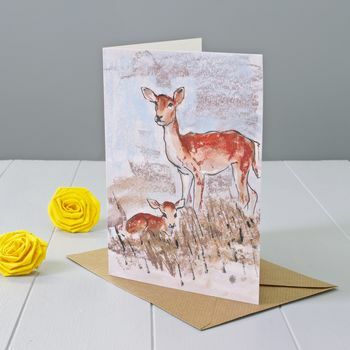 It could even make a lovely and highly original new baby card as the card represents a mother deer with her fawn. The greeting card is a reproduction of a pastel painting by us. The card comes with a brown kraft envelope and is wrapped in a cellophane bag (unless sent directly to the recipient in which case it will arrive in its brown envelope). PLEASE NOTE: the brightness and the colours in the card can be slightly different than what you see on your computer/tablet/mobile screen.